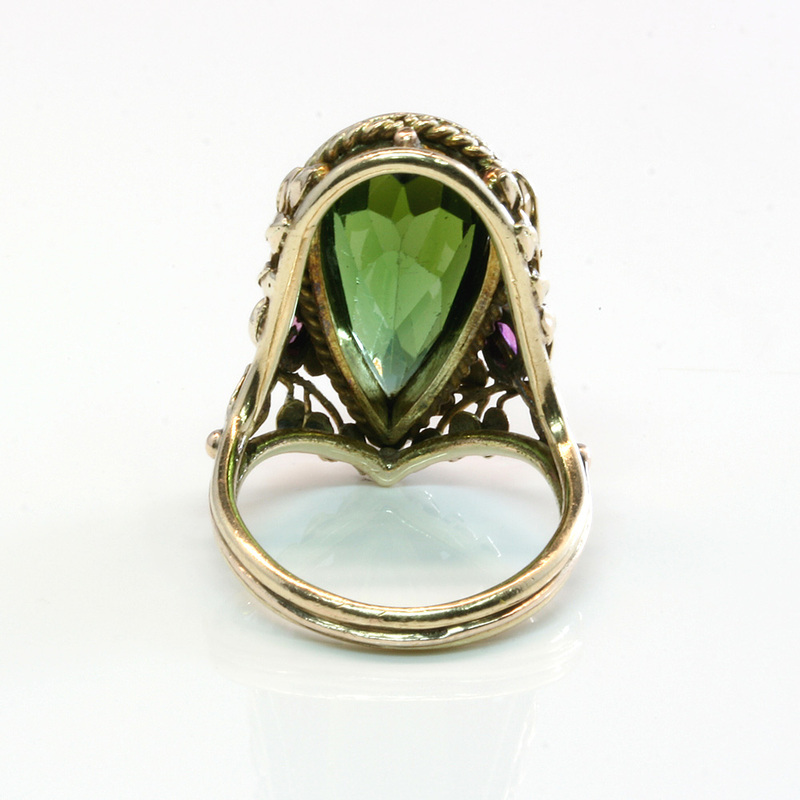 Product code: ES6281 Categories: Sold Items, Sold Rings. Here is an antique ring that is truly like no other. Exquisitely hand made in 14ct rose gold, the ring is set with one green tourmaline and two pink tourmalines amongst the most incredible floral inspired design. Dating from the early 1900’s the pear cut green tourmaline measures an impressive 6.85 carats which to put in perspective is equal to about 2cm in length by 1cm wide. The colour of this tourmaline is just exceptional and really matches so well set into the rose gold setting. To highlight the ring further, there are two pink tourmalines that total 0.30 carats and from one pink tourmaline across to the other, this distance measures 16.5mm across by 23.4mm and truly makes a statement on the finger. Such an incredible ring, there really is no other quite like this making it not only an incredible ring, but one that is so unique and special.